A look at the legal precedents that help define China and the Philippines’ favorite accusation. In most legal dramas, a court’s final judgment is the logical conclusion to a long and often complex tale of right and wrong. Unfortunately, such closure is unlikely to happen in the Philippines-China arbitration, a case which is so far beyond the ordinary that the tribunal’s much-anticipated judgment on the main submissions simply heralds the beginning of the “real” clash of wills in the South China Sea (SCS). Unfortunately for the Philippines, a favorable decision will almost certainly result in a pyrrhic victory, given that China adamantly believes that: 1) the Philippines failed to exercise self-restraint when it willfully ignored its obligation to seek a negotiated solution to the dispute, and 2) the arbitration was simply intended to be the ultimate political provocation. On the other hand, the Philippines believes that its alleged failure to exercise self-restraint is not at issue, since it had merely invoked its lawful right to initiate the arbitration case under the compulsory dispute settlement provisions of the United Nations Convention on the Law of the Sea (UNCLOS). Moreover, it only initiated the case after numerous bilateral negotiations and consultations with China failed to yield a workable resolution to the increasingly tense situation. 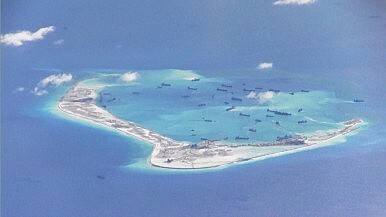 The Philippines instead holds up China’s subsequent island-building activities on disputed features in the SCS as evidence of the latter’s unjustified lack of self-restraint and undisguised determination to undermine the consequences of its possible defeat in the arbitration case. The phrase “failure to exercise self-restraint” appears to lie at the heart of both Chinese and Philippine accusations. Although they began at different points in time, the conduct of both countries – insofar as they have been treated as watershed moments for rising regional tensions – certainly warrants side-by-side scrutiny. From China’s point of view, by submitting its case to the arbitral tribunal, the Philippines ignored its obligation under the Declaration on the Conduct of the Parties (DOC), the Treaty of Amity and Cooperation (TAC), and various other joint declarations to resolve all territorial and jurisdictional disputes exclusively through consultations and negotiations without setting any time limits for their completion. This, China believes, is the only acceptable definition of the phrase “pacific settlement of disputes.” Resort to any other means indicates a lack of self-restraint and an abuse of right. Thus, the tribunal in the Philippines-China arbitration case ruled in 2015 that it had jurisdiction to address the matters that the Philippines raised in its submissions. First, it recognized that the two countries have been exchanging views on the dispute over the years and that such consultations and negotiations satisfy the pre-condition in UNCLOS to the Philippines’ filing of the arbitration case. Second, it clarified that neither the DOC, the TAC, or other bilateral statements bound the parties to pursue negotiations and consultations to the exclusion of any other mode of dispute settlement under UNCLOS. The bottom line is that the Philippines did not fail to exercise self-restraint simply by filing an arbitration case. China, meanwhile, has been rapidly changing the physical characteristics of the SCS via its massive island-building program in the Spratlys, which began in early 2014. In just under two years, China was able to transform the uninhabitable to the habitable: Mischief Reef, Cuarteron Reef, Hughes Reef, Johnson South Reef, Fiery Cross Reef, Gaven Reef, and Subi Reef are now unrecognizable as the reefs and rocks that they once were. China’s Foreign Ministry has sought to frame the island-building as a force for regional good, arguing that it would help China fulfill its international legal obligations in maritime search and rescue, disaster prevention and mitigation, marine scientific research, meteorological observation, environmental protection, navigation safety, fisheries production, etc. However, this is a situation where motive clearly takes a backseat to audience impact. Chinese force projection is on everyone’s mind as China continues to convert SCS features into mid-ocean outposts for its military and non-military assets. One cannot help but be skeptical of China’s rhetoric when so far the newly-built “islands” have only resulted in generating widespread concerns about their marine environmental impact, their effect on fisheries access, and their ramifications on the freedom of navigation in the disputed area. Both the DOC and UNCLOS urge states to refrain from actions that would “complicate or escalate disputes,” “affect peace and stability,” or “jeopardize or hamper the reaching of the final agreement.” International legal jurisprudence has since clarified that making permanent physical changes to the disputed area falls squarely within the ambit of these phrases. In the Aegean Continental Shelf Case, the ICJ noted the difference between activities of a transitory character and activities that risk irreparable prejudice to the position of the other party to the dispute. Greece had asked the ICJ to exercise its right to indicate interim measures and order Turkey to refrain from all seismic exploration in disputed waters (an activity involving the detonation of small explosions aimed at sending sound waves through the seabed) without its consent pending a final judgment. The Court declined to indicate interim measures, citing three factors: (1) the fact that seismic exploration does not involve any risk of physical damage to the seabed or subsoil; (2) that the activities are of a transitory character and do not involve the establishment of installations; and (3) that the operations did not involve the actual appropriation or other use of the natural resources. Under the circumstances, the ICJ found that Turkey’s conduct did not pose risk of irreparable prejudice to Greece’s rights in issue in the proceedings. In the Guyana-Suriname UNCLOS arbitration case, the arbitral tribunal similarly said that in order to be permissible, an act that causes permanent physical change would have to be undertaken pursuant to an agreement between the parties to a maritime delimitation. It explicitly said that such acts, if done unilaterally, may hamper or jeopardize the reaching of a final agreement on delimitation. Applying these standards to China, it becomes obvious that its unilateral transformation of various features in the SCS pending the resolution of the complex multi-state claims over them demonstrates a lack of self-restraint. As China continues to make permanent changes, it steadily erodes whatever confidence that other states may have in its willingness to engage in meaningful and genuine negotiations. Its failure to exercise self-restraint in this sense signifies just how intractable its position is with respect to its “territory” in the SCS. In the North Sea Continental Shelf Case, the ICJ relevantly noted that parties to a delimitation case “are under an obligation to so conduct themselves that the negotiations are meaningful, which will not be the case when either of them insists upon its own position without contemplating modification of it.” To say then that that this would “complicate or escalate disputes” or “affect peace and stability” in the region is certainly an understatement. At the end of the day, who lacked self-restraint in its dealings with respect to the SCS? China has often pointed out that the Philippines engaged in numerous provocative acts in the SCS over the years. Despite this, China claims that it has responded with “maximum self-restraint” and that it has always insisted on resolving the dispute via negotiations, consultations, and joint development projects. However, its island-building activities within the disputed areas severely undermine this claim. China’s posture in the SCS makes it increasingly difficult to re-open bilateral discussions since the build-up of these “islands” practically makes Chinese control over them fait accompli. On the other hand, the Philippines was simply exercising a right that was available to it under the UNCLOS. International law clearly does not treat such action as constituting a failure to exercise self-restraint given that negotiations and consultations can legally run parallel with third-party dispute settlement processes. Jacqueline Espenilla is a Non-Resident WSD-Handa Fellow at the Pacific Forum, Center for Strategic and International Studies and a Visiting Research Scholar at Columbia Law School in New York, USA. She received an LL.M. from Harvard Law School, and a J.D. from the University of the Philippines. Ms. Espenilla was a former intern at the International Tribunal for the Law of the Sea in Hamburg, Germany. Before an arbitral tribunal, the Philippines' foreign secretary slams China's actions in the South China Sea.